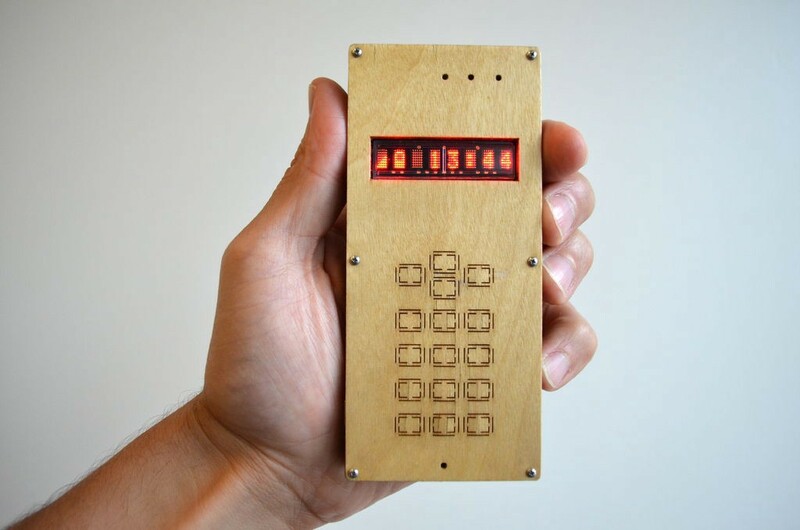 One of the earliest and hardest challenges for a hardware startup is building a prototype. As with any startup, iterating and improving the prototype is crucial. However, it’s not as easy or as cheap as for a software startup. In fact, for a long time it was so prohibitively expensive that hardware startups only existed at the margins of the startup scene. The good news is that all of this is changing very rapidly. It’s not just theory or prediction — a number of exciting hardware startups proved this, my favourites being Myo, Narrative and Misfit. So what are some of the new technologies and tools you can you use to build your own first hardware prototype? Here are my top 5 (in no particular order). Unlike injection moulding, 3D printing allows you to quickly manufacture a single prototype at a very low cost. You will need CAD (computer-aided design) software to create a digital model, which will then be printed layer by layer. 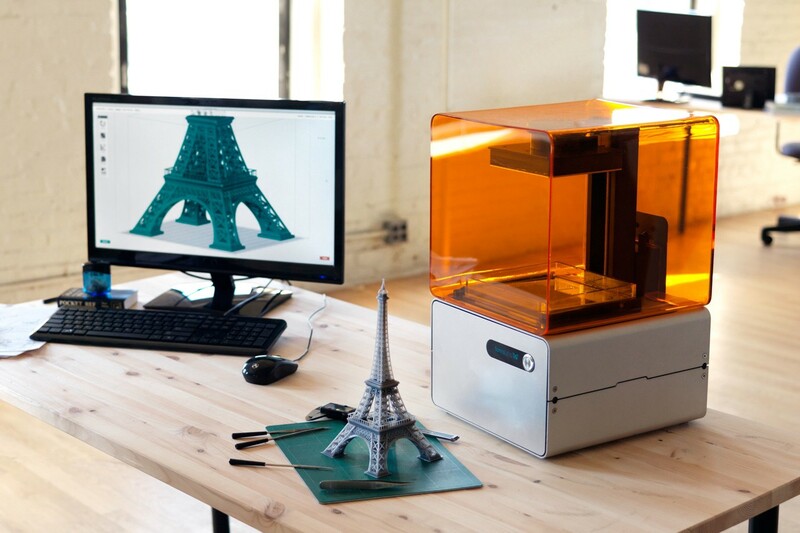 These days you can buy a desktop 3D printer for $1,500 — $3,500.Owning one will allow you to manufacture prototypes from the comfort of your home.However, you don't necessarily need to buy one. Form1, a high resolution stereolithography 3D printer. Who wouldn't want this gadget on their desk? Current estimates suggest that there are about 100,000 3D printers worldwide. It is quite likely that someone in your city or town already owns one. You can easily check this on 3D Hubs, one of the largest networks of 3D printers in the world. 3D Hubs is one of the world’s largest networks of 3D printers with over 1,900 printing locations across 300 cities. 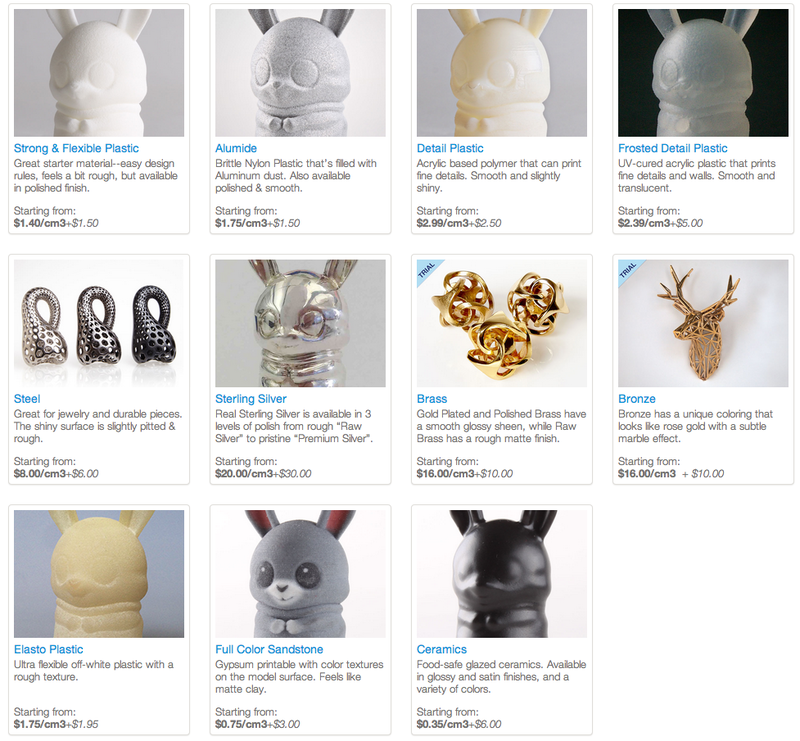 Shapeways offers printing your designs using a wide range of quality materials. Last Christmas my fiancé got me the Arduino Starter Kit.Arduino is an open-source electronic prototyping platform that allows one to create interactive electronic objects. Getting started with my Arduino last Christmas. 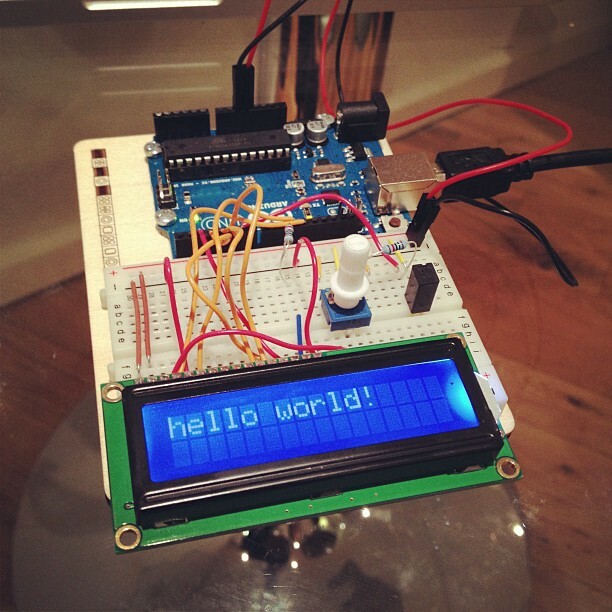 Many of today’s hardware startups have built their first prototypes with Arduino. Arduino is easy to learn, even for someone without an electrical engineering background or with only basic programming skills. In fact, even a child could do it, and many of them do. Yes, it’s rough. However, it’s incredible you could assemble something like this on your own. Just think of the endless possibilities. Arduino is not your only choice. You could also use Raspberry Pi, TinyDuino and many others. If you were keeping an eye on Kickstarter hardware projects in the past couple of years, you would have noticed that many new microcontrollers are coming to market (here’s an amazing recent example). 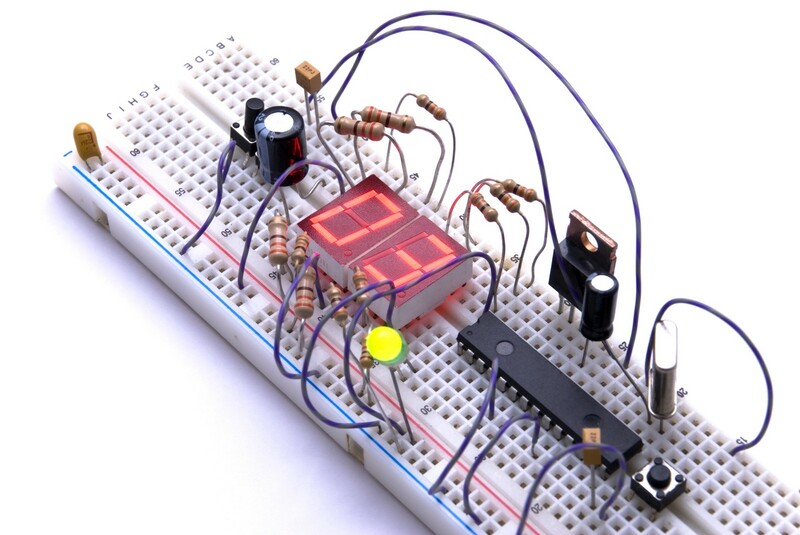 This, in turn, provides you with more tools to easily and cheaply build your own prototype. It is quite likely that you will connect sensors to the microcontroller running your prototype. You can easily buy all types of sensors used in your smartphone such as accelerometer, gyroscope, light and touch sensors on online stores like SparkFun and Adafruit. 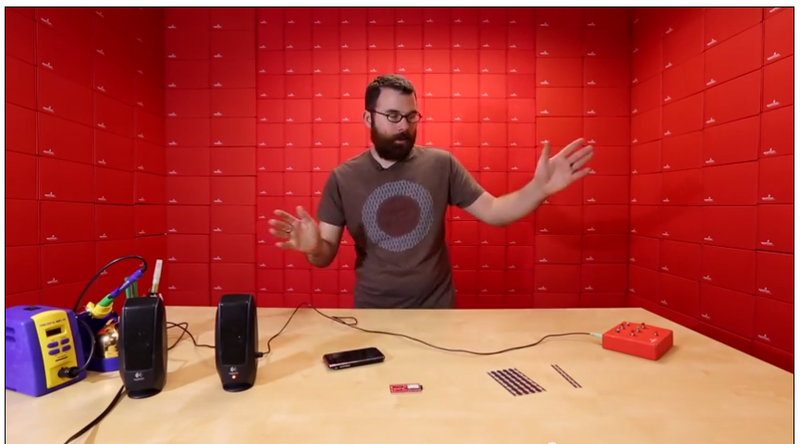 By the way, SparkFun took open-source electronics to an entirely new level — every week they release a new batch on the Product Showcase. Think of it as a fashion show for the newest electronic components. A typical breadboard. Much easier than soldering but could still be improved. Those of you who used breadboards will know that they can be a bit fiddly. Luckily,new tools are emerging. 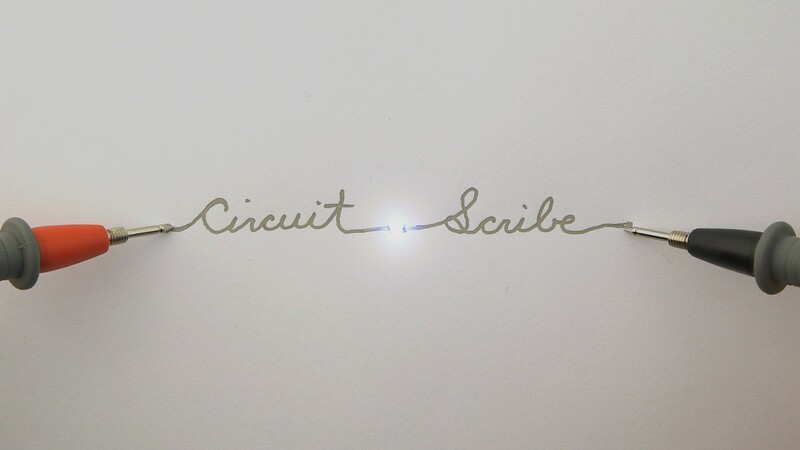 If you want to create a circuit very quickly, you could simply draw one on a piece of paper with Circuit Scribe.This is actually really incredible, you could be sitting around a table with your team doodling circuits and testing ideas pretty much immediately. It is worth noting that Circuit Scribe will only be available in 2014, however, I'm sure it'll be worth the wait. If you need to produce a more robust circuit, or perhaps embed it into a different kind of material, you could pre-order the EX circuit printer. 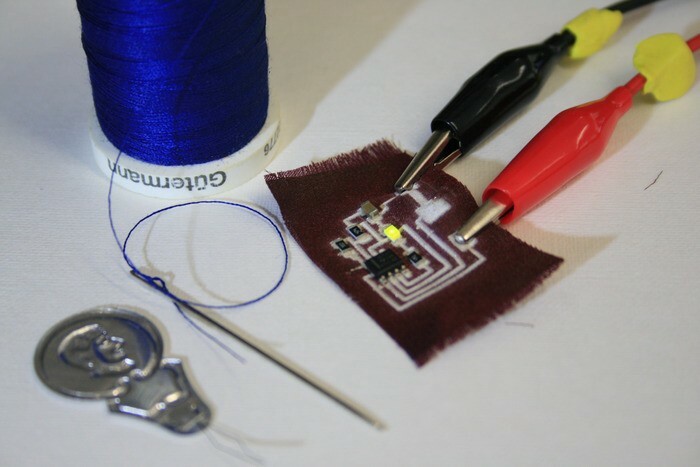 As the example below shows, you could do incredible things like printing circuit on cloth (wearable tech prototypes, anyone?). The EX makes printing circuits as quick and easy as printing a photo — allowing you to print on the material of your choice. As you probably noticed by now, building a hardware prototype requires a multidisciplinary team with knowledge in fields, such as product design,electrical engineering and programming. Even if you have experience in most of these areas, it is hard to do everything on your own. Most likely you will need to assemble a team to grow your startup. P.S. Are you considering building a prototype? Feel free to share your questions & thoughts with me here. It would also mean a great deal to if you clicked the “Recommend” button below! Data scientist in the private equity world.